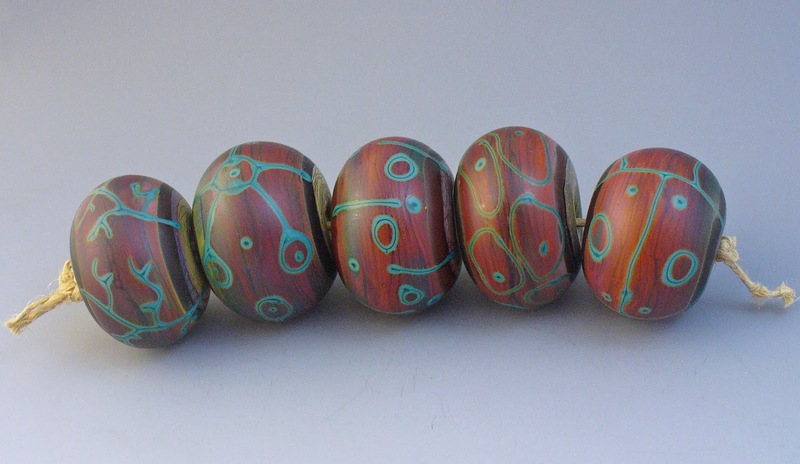 Wow – what incredible colours – they look so rich! Your camera has probably selected a higher ISO number to compensate for a lack of light in your new location – probably without your being aware of it. My Canon does this. One has to be quite vigilant as the ISO can vary widely depending on how close the light source is and how close your camera is to it – without you having changed any settings at all! I find anything above 300 to be unacceptable in graininess, but then, my camera is not a top model – Canon 650is. Some of the top digital SLRs are more forgiving in low light….needless to say, if you fix your ISO (ie, don't allow it to vary), you mmight have to be more vigilant about using a tripod. I've gotten very lazy about this with doing Etsy shots. 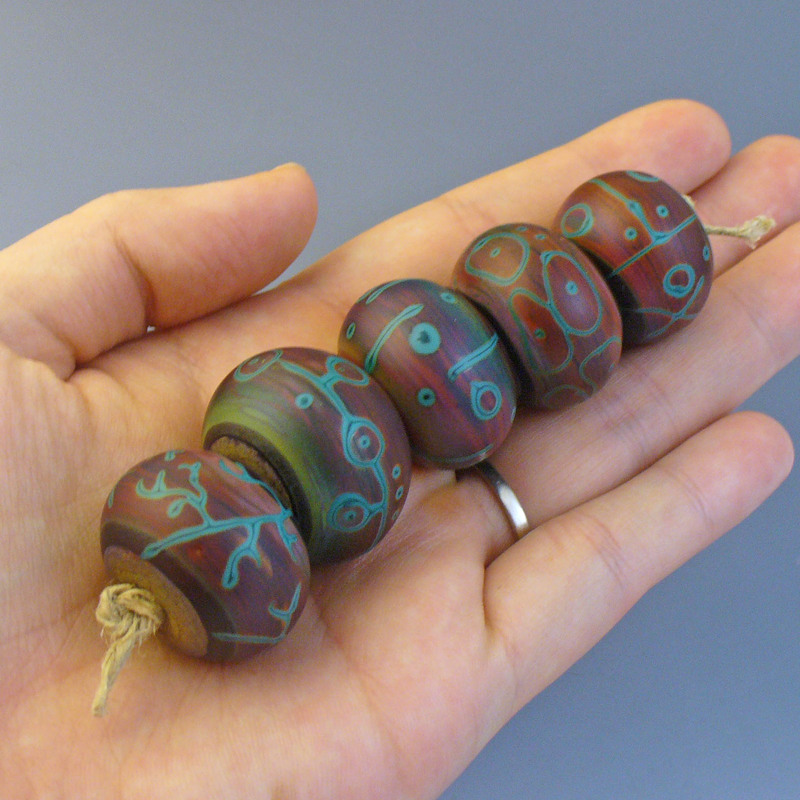 These beads are wonderful. I love them etched! Claire, my camera is by no means fancy- it's close to four years old and a Panansonic Lumix. I'll see about getting a better lights source and compare- thanks! I love them definitively much more etched – I adore these colors, wonderful. 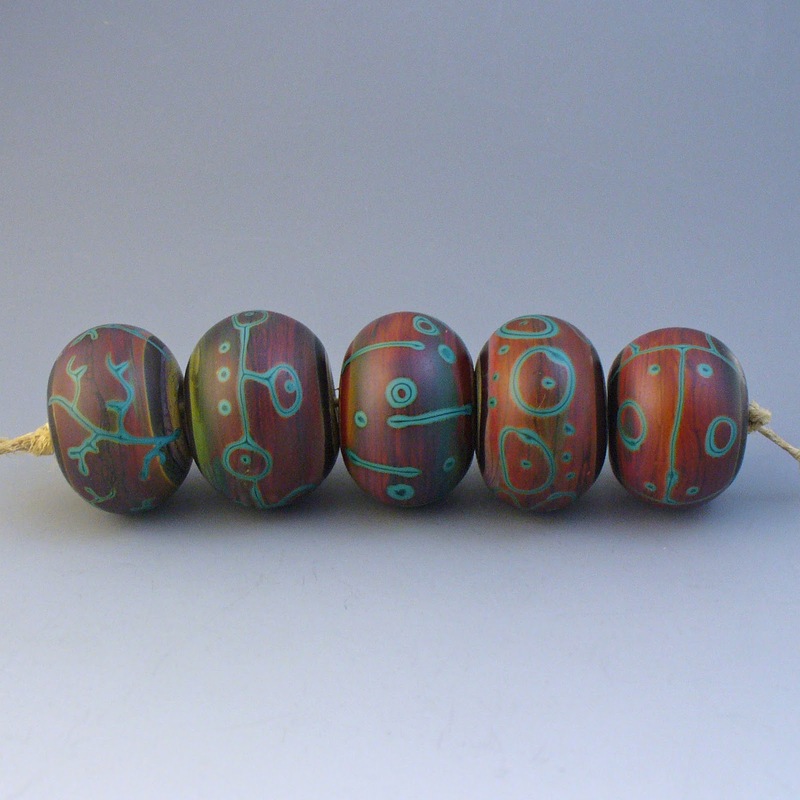 I definitely love these beads etched! They have a beautiful quality about them. Stunning work!